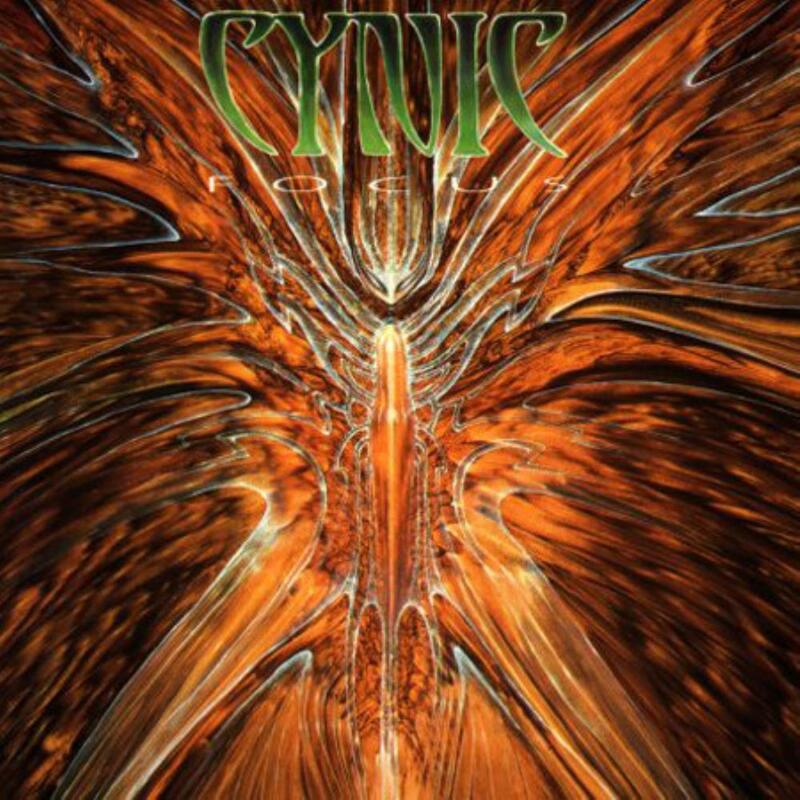 And Cynic subjects us all to their progressive death metal masterpiece, Focus. This album has so many interesting facets, so many very powerful (in several ways) songs, and the use of three vocal styles on the album is magnificent. The musicians are technical maestros, and each instrument has its own intellectually and musically stunning path where they all weave through each other so fluidly. Veil of Maya begins and is one of the strongest tracks. The bass rips as strongly as the extreme lead riffing. The dual vocals go together so well, and the soft atmospheric breaks with the third vocal style are peaceful in a sea of cacophonous melodic madness. This song sets the stage for one of metal's most unique and progressive albums. The Eagle Nature is thick and furious, roaring through hell and back just in time to stop short at the end of the song for a soft atmospheric space romp. This album is so varied for a death metal album, that it is somewhat scary. Each song is a complex and fiery eruption of harsh metal, interspersed with multiple religious lyrics, which are absolutely stunning, offer a very meditative stance. Truly, the lyrics here are brilliant, and add mysticism to the mix which makes this album even more of a heroic enigma. How they graft everything together so effortlessly and efficiently is astounding. Even with the album's short running time, you get more overall complexity and progression here than on almost any album I can think of twice this one's length. The musical ideas never seem to be overspent, and everything seems explored fully. I listen to this one on a regular basis, and the surprise, captivation, and wonder never really wear off. Each listen uncovers something new buried within the high quality music. I'm But A Wave To... is hypnotic and begins in a quiet wave of entrancing melody and eerie mood, before it explodes. There is just so much diversity within the songs. There is no easily visible verse or chorus structure anywhere. Uruboric Forms is cataclysmic. The blazing rhythm rush ravages the aural scope beside the dual vocals. Again, not content to remain in one style for a song, they rip the rug from under your feet with a smooth and calm interlude to the madness. This band seems intent on offering mass duality. The do it exuberantly. Textures has one of the most beautiful openings. It is so soothing and soft jazz feeling. Everyone plays so superbly. This evocative segment took my breathe away with its oceanic prettiness and tribal passion. The instrumental keeps hinting at power with thick riffs tossed in form time to time, and there is a bass solo! Absolutely captivating. The final song is a microcosm of the album as a whole. Soft passages entwined with heavy powerful death sections, soloing that is ethereal, dual vocals that entrance, and a knotty progressive structure that never fails to intrigue. Some might fault for the use of vocal fry, but it is done exceptionally well. Both vocals are well done, and are interesting if you give them a chance. This work is cohesive and fluid, despite the knotty nature of it all. The solos, when they occur, are dissonant/harmonious pyramids of esoteric genius.